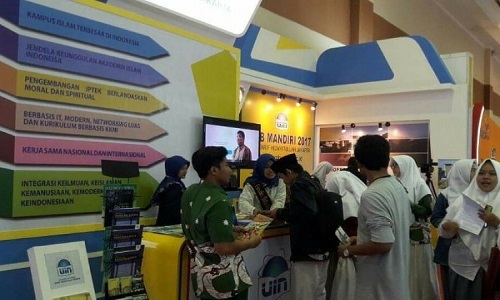 PPIM,Â UIN NEWS Onlineâ€” Moderate Islamic organizations such as Nahdlatul Ulama Indonesia, Muhammadiyah, Mathla’ul Anwar, Nahdlatul Wathan and others were asked to actively spread the attitude and moderate Islamic religious knowledge (Wasathiyya Islam) among the people of the country. This is necessary to maintain the unity of the Unitary State of the Republic of Indonesia (NKRI) from those who threaten its sustainability. 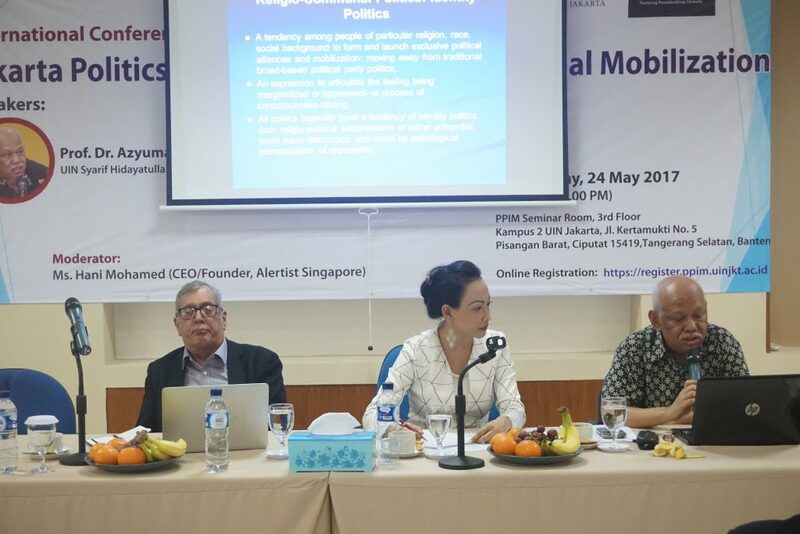 This was conveyed by Professor of History UIN Jakarta, Prof. Dr. Azyumardi Azra CBE, as a guest speaker International Conference on Jakarta Politics 2017: Race, Religion, and Social Mobilization at PPIM Building UIN Jakarta, Wednesday (5/24). The seminar was organized by PPIM UIN Jakarta-Arizona State University also presented Professor Mark Woodward from the Center for the Study of Religion and Conflict, Arizona State University. According to Azra, consolidation and strengthening of the understanding of Islam Wasathiya need to be done continuously to the public, either through family or non-formal education institutions, or through formal institutions. Strengthening networks and cooperation among Islamic organizations also cannot be ignored. 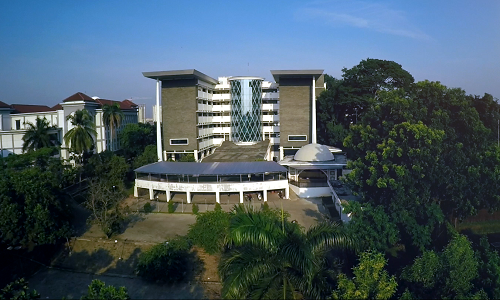 â€œNahdlatul Ulama, Muhammadiyah, Mathla’ul Anwar in Banten, Nahdlatul Wathan in West Nusa Tenggara, and other Islamic mass organizations have a great responsibility in spreading moderate Islam that emphasizes the attitude of tawasuth, tawazun, ‘fair and tasamuh among the people,” he explained. 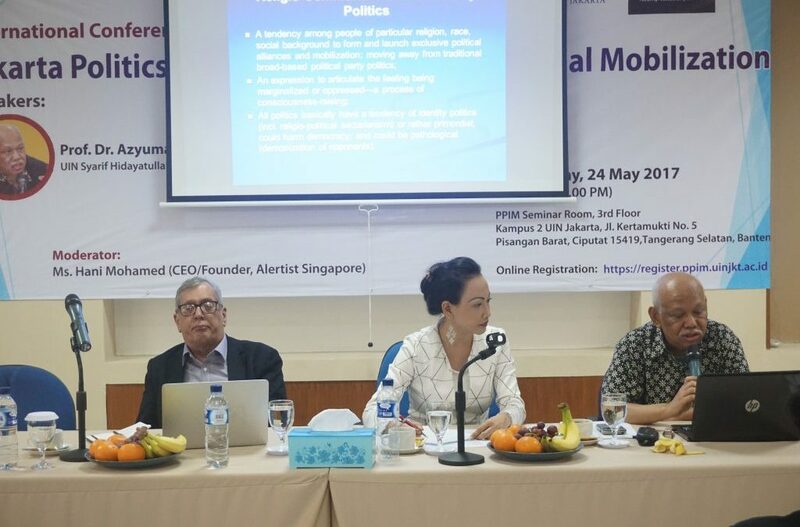 In a paper entitled The Rise of Religio-Communal Politics: The Viability of Islamic Populism in Indonesia, Azra highlights the tendency of Islamic Populism in the midst of society through sectarian political ideas and movements. The ideas and political movements of the latter are marked by the tendency of people with certain religious, racial and social backgrounds to create exclusive alliances and political mobilizations. Azra said, sectarian religious politics is not relevant to apply in the country. Implementation of the sectarian practice can implicate on the erosion of mutual respect for diversity or the establishment of intolerance among fellow elements of Indonesian society. “Although later, the idea and movement of religious-political sectarianism will continue to color every political process in the country,” he explained again.